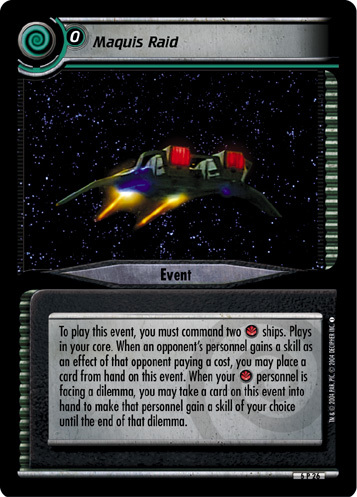 To play this event, you must command two ships. Plays in your core. 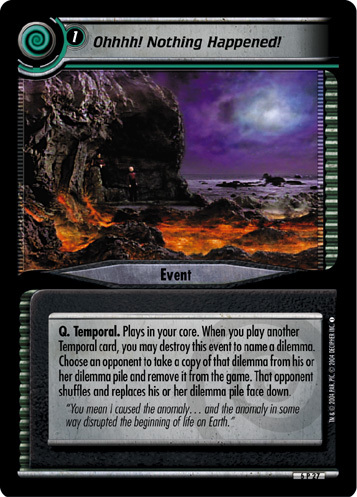 When an opponent's personnel gains a skill as an effect of that opponent paying a cost, you may place a card from hand on this event. 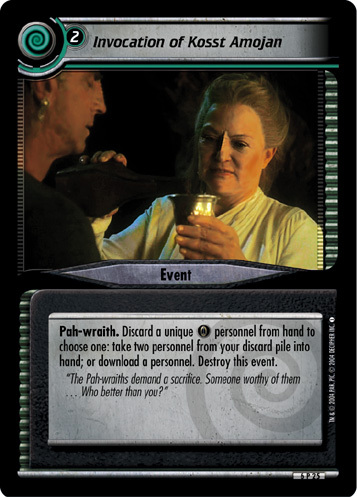 When your personnel is facing a dilemma, you may take a card on this event into hand to make that personnel gain a skill of your choice until the end of that dilemma.